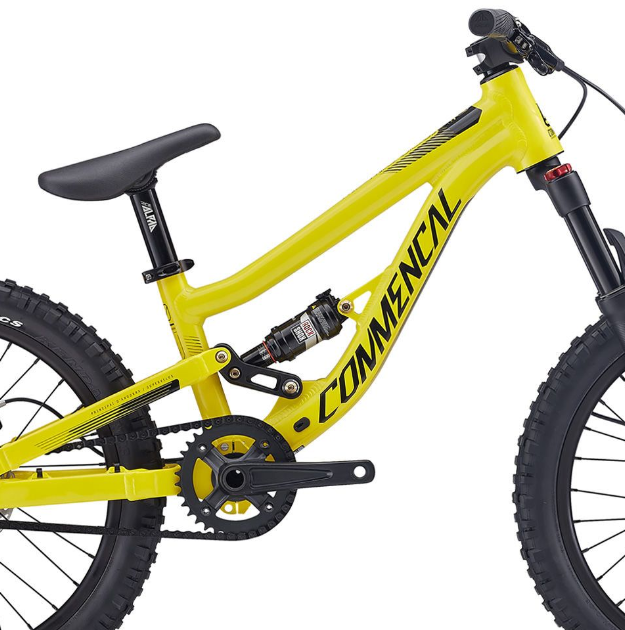 When children reach the 20 inch threshold, the world of kids mountain bikes really opens up. 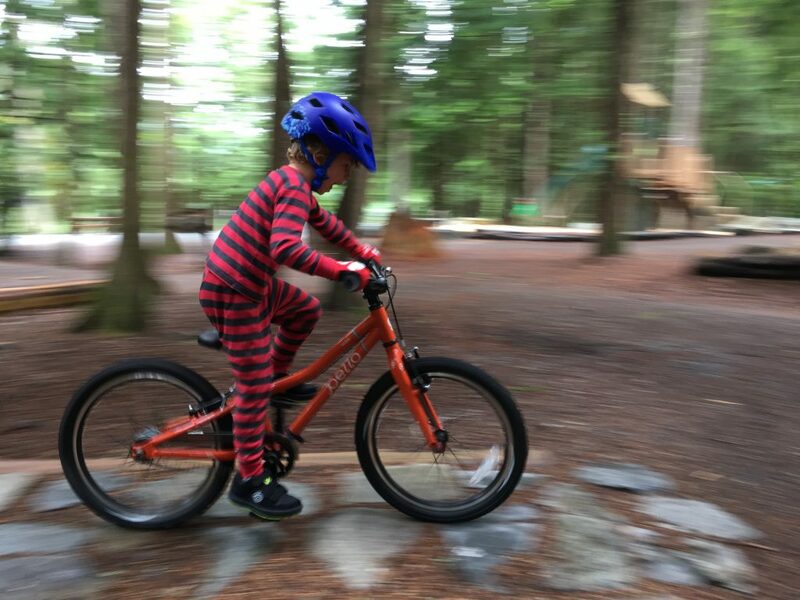 There are several reasons for this: kids this age are finally strong enough to deal with the extra weight introduced by suspension, they have a newly developed capacity to operate gears, and they have the focused interest to justify a higher-priced bike. Kids reach the magical 20” threshold (and stay there) at wildly different times depending on their height and build. That said, 20-inch mountain bikes are generally appropriate for kids aged 6 to 9. If your child is in that age range, use this list as a guide for picking the right bike for your child. We’ve included our “Top 5” picks (for families who prioritize mountain biking), and some runner-ups. If you’re not sure which is the right bike for your kiddo, keep reading. We include a comparison chart and tips on how to choose. The bike that we’ve been dreaming of is here! Not getting your child this bike is basically child abuse. (Ok, not really, but it is a sweet bike). 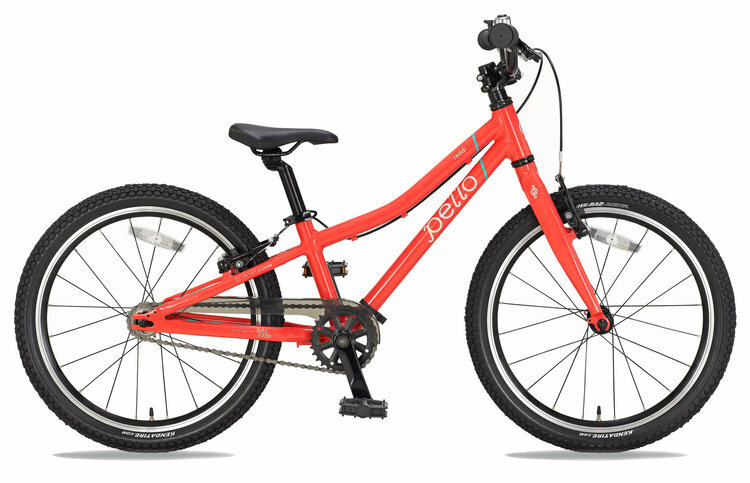 Made by top-of-the-line kids bike manufacturer, Trailcraft, the Blue Sky 20 is their tiniest offering. But although it may be small, it is built with adult-quality parts including tubeless tires. It’s also crazy light (starting at 19 lbs!!!) making it ideal for smaller riders and families that take trail riding seriously. For more information, read our detailed review of the Trailcraft Blue Sky 20. Prevelo is pumping out some seriously awesome little mountain bikes. 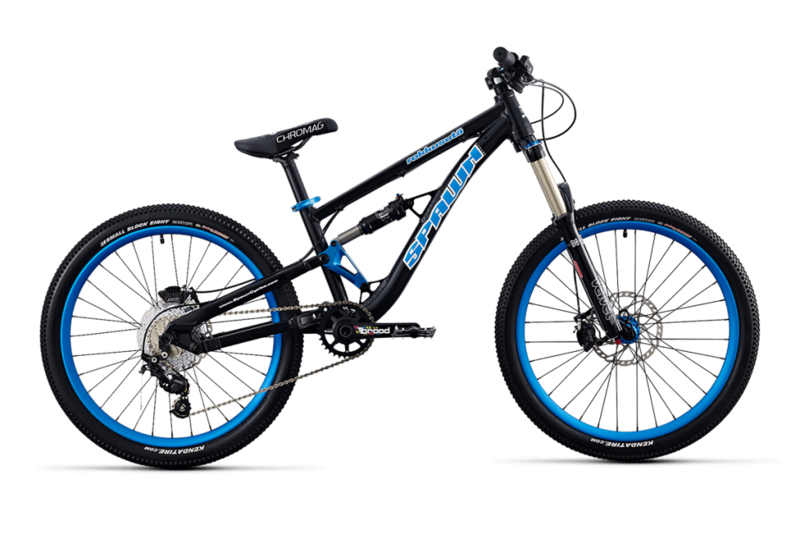 The Zulu Three HEIR is their higher-end 20” mountain bike offering with 80mm of front-suspension. It offers a Shimano 10-speed drivetrain with clutch, Tektro hydraulic disc brakes, and custom-made cranks. The Zulu Three HEIR also comes standard with some seriously beefy 2.35″ tires. For more information, read my review of the Prevelo Zulu Three. 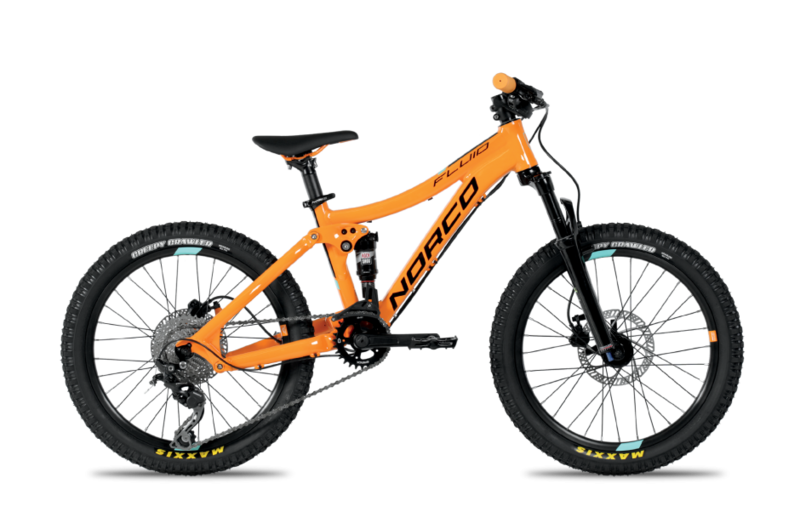 The Norco Fluid FS 2.2 is our favorite 20-inch kids’ full suspension mountain bike. Granted, it’s a bit pricey for a bike that will soon be outgrown but if you want a top-notch bicycle—this is it. 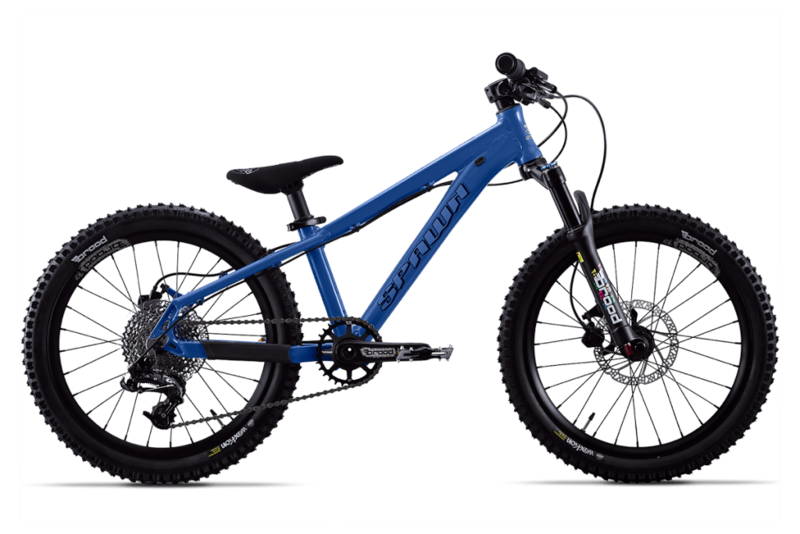 A capable trail bike, the Fluid boasts full-suspension, hydraulic disc brakes, and a Shimano Diore 1×10 drivetrain. 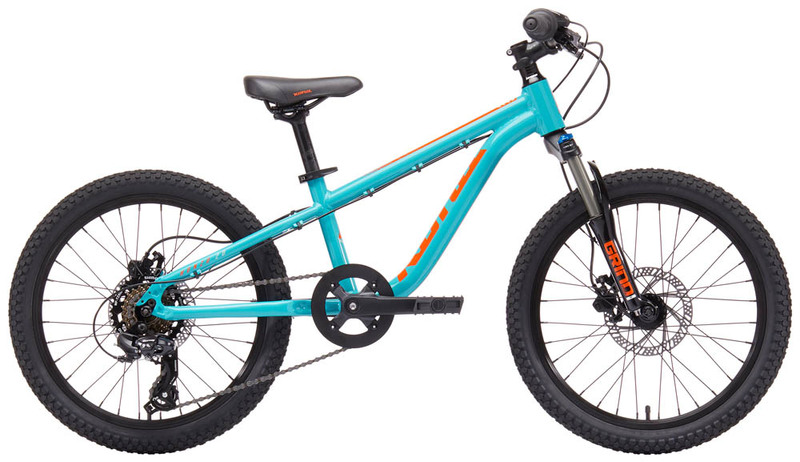 Spawn has always prided themselves in making the best mountain bikes for kids, and their new 20” hardtail, the Yama Jama, hits the mark. This sweet little bike has an 80mm Brood Bike Co. Eldorado fork, tubeless tires, and SRAM 1×10 drivetrain. Chances are you’ve never heard of Flow Bikes, and that needs to change. The Flow Bikes “Carbon” boasts an aluminum frame with carbon wheels, seatpost, and handlebars. The all-mountain build includes SRAM X-7 1×10 drivetrain, Hayes Hydraulic disc brakes, and on and on and on. It also accepts 16″ or 20″ wheels. This is the bike on my dream-list for my son. Do you spend your summers riding lift-served laps at the bike park? 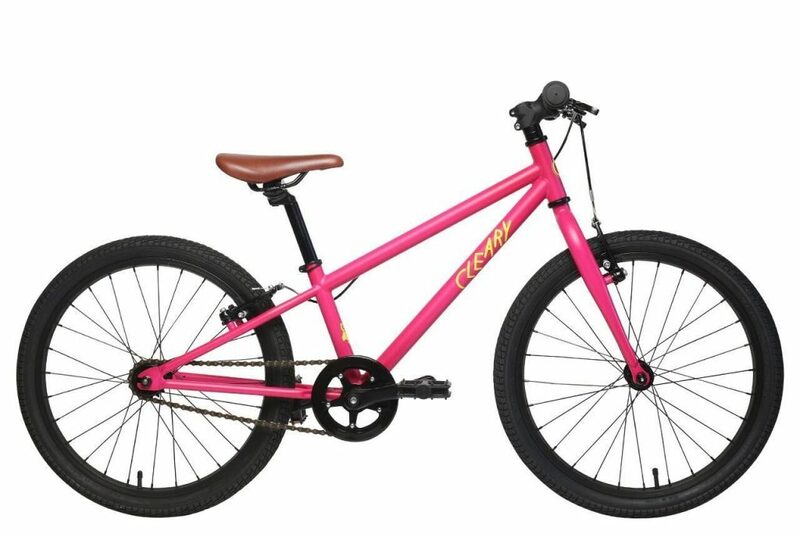 If so, your kiddo NEEDS this bike. 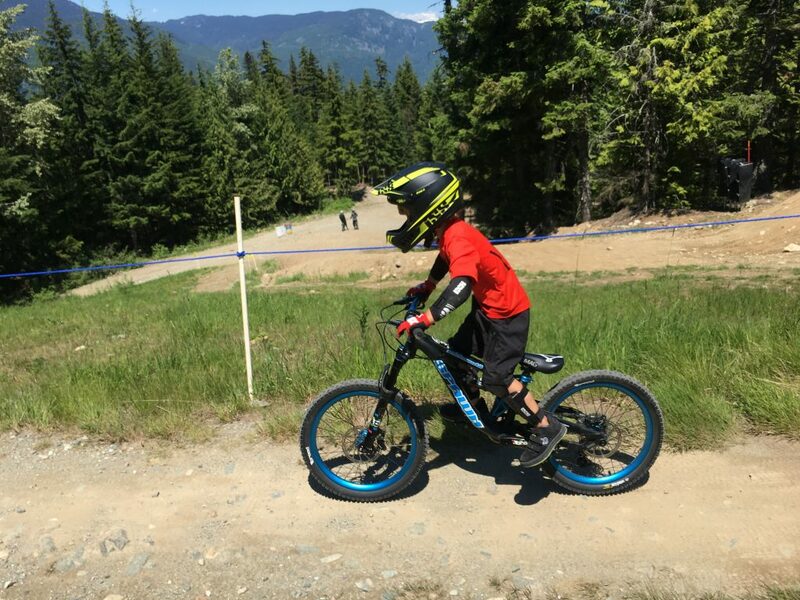 My son got to ride the bike at Whistler and his skill level went through the roof. It’s pricey but worth every penny. 100mm of front and rear travel, SRAM Guide brakes, and in-house Brood brand everything make this the bike worth splurging on. We can’t rave enough. For more information, read my full review of the Spawn Rokkusuta 20. The Commencal Supreme 20 is marketed as the ultimate bike-park rig, and it has the specs to back it up. 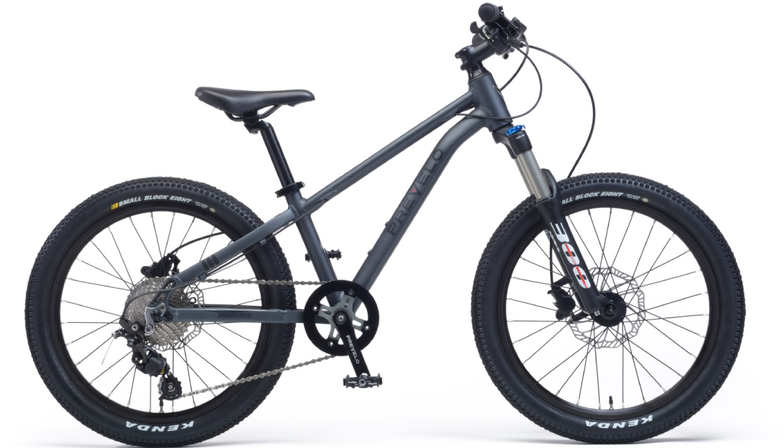 The little 20” package includes a Ride Alpha 80mm fork, beefy Kenda Kinetics 2.35” tires, and Tektro hydraulic disc brakes. Just be careful because you might not be able to keep up with junior on this bike! The Early Rider 20” Trail is lust-worthy. But it’s not just beautiful—the components are top-notch as well. This hardtail mountain bike has a Spinner Grind 50 mm fork, Avid hydraulic disc brakes, and SRAM X5 trigger shifters. And did we mention that it looks good? If money is no object (or you just REALLY want your kid to like mountain biking), the Lil Shredder Prodigy is your bike. You can get it built up as a trail bike or downhill bike, or buy the frame and rear shock (a Fox float) and build it up yourself. The high-price tag is tempered by how adaptable the Prodigy is—it accepts 16” or 20” wheels, fits kids between 36” and 51” tall, and has interchangeable, sliding dropouts so that it can be ridden geared or as a single-speed. Cleary makes our favorite 12” mountain bike (the Gecko), and at the other end of the spectrum—their 20” mountain bike is pretty rad too. This bike is also one of the lightest on this list at only 19 pounds. Of course, it stays this light by forgoing gears and suspension—but for kids who would benefit from a lighter bike, it’s worth it. 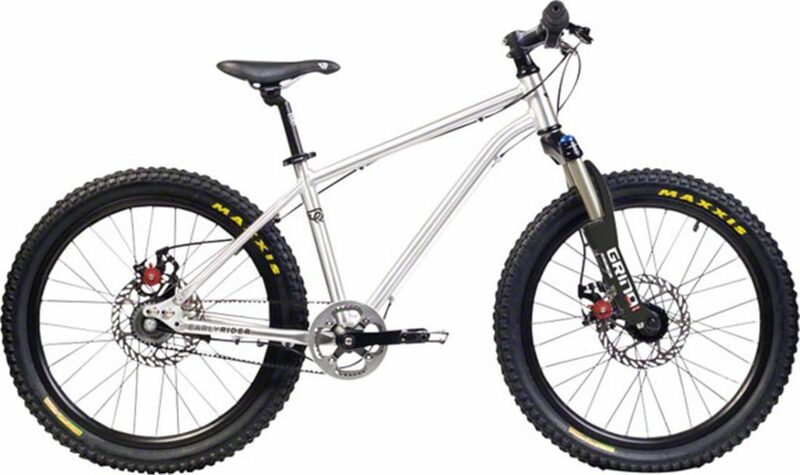 The Owl has a beautiful steel frame, internal cable routing, and a flip-flop rear hub. The price tag on this bike rocks also. Some kids (and adults) do best with simplicity. The Pello Reddi is a high-quality rigid, singlespeed. The lack of “extras” mean that the bike barely weighs anything (17 lbs) and is easy to handle. In fact, even with a quiver of geared bikes, my son often reaches for this one. It climbs like a champ, and thanks to the grippy tires and wide handlebars, it descends like one too. For more information, read my detailed review of the Pello Reddi. 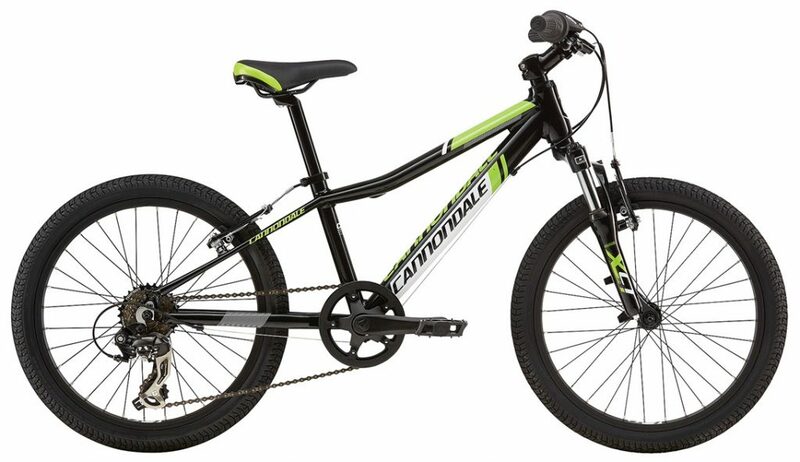 The Cannondale Trail 20 is a solid entry-level mountain bike. It doesn’t have massive travel or hydraulic brakes, but it will hold up at the local pump track or on easy singletrack rides. The bike has brand-name components including an Ahead stem and headset and Shimano drivetrain. 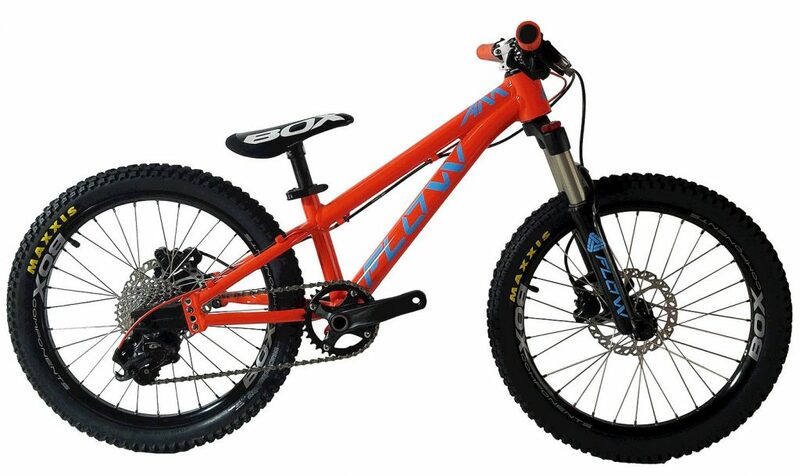 The Kona Honzo 20 is a step up from previous generation Kona kids bikes. The Honzo offers everything you want in a mountain bike: hydraulic disc brakes, an air fork, and a digestible price point. It also looks snazzy, and if dad has a Honzo also, you can match. 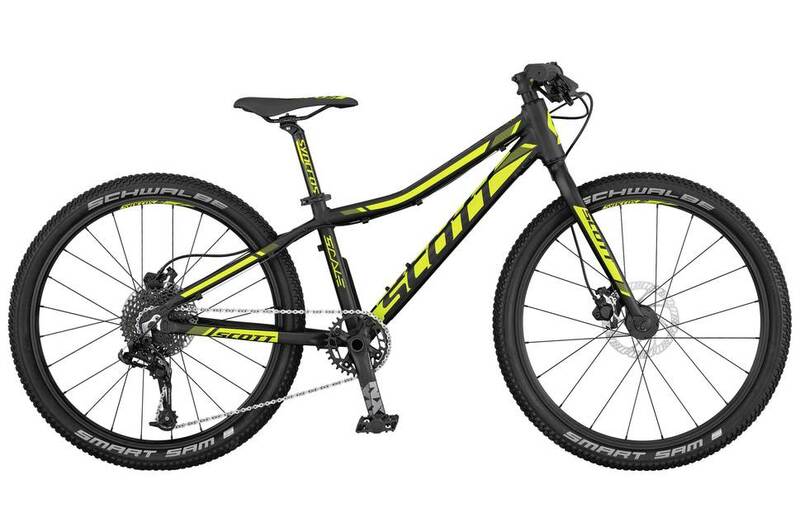 The Scott Scale Jr 20 is a perfect bike for the aspiring cross-country racer. It has aggressive geometry and a lightweight build. 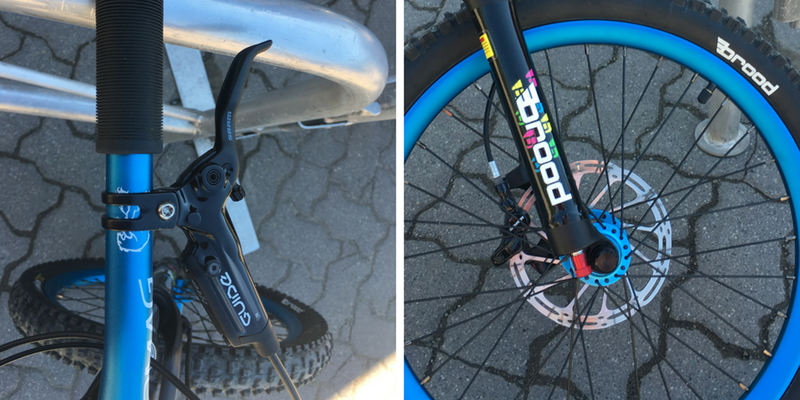 Highlights include a 40mm SR Suntour XCT-JR fork and Shimano Revo 7-speed grip shifters. 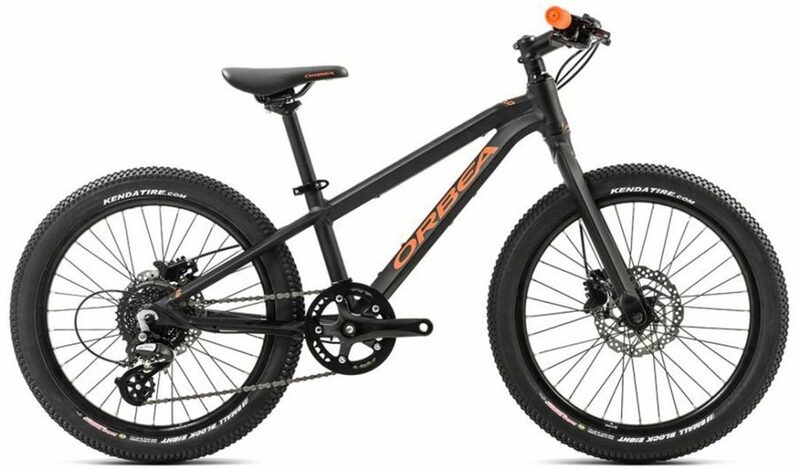 The Orbea MX20 offers superior bang for your buck. For the affordable $539 price tag, you get Shimano hydraulic disk brakes, Shimano 8-speed drivetrain, and Kenda tires. It also has the same beautiful design you’d expect from Orbea. (The bike also comes in a MX 20 Team non-disc version. Same bike without the disc brakes). For more information read our detailed review of the Orbea MX 20 Team. Want the complete specs for each of these bikes and how they stack up to one another? 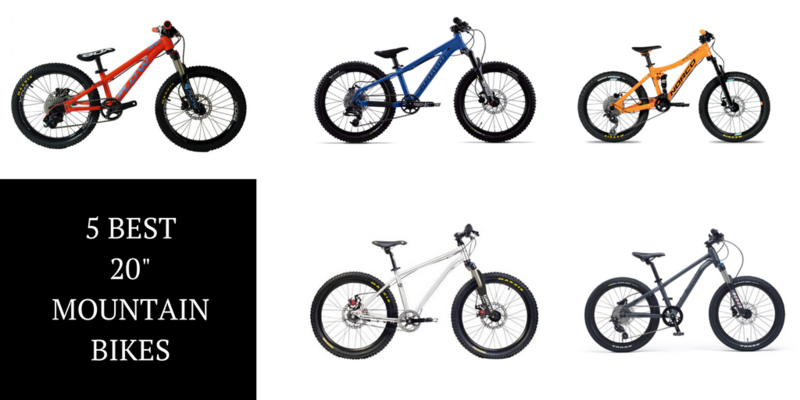 Use this comparison chart to help you choose the best 20” mountain bike for your child. Note: I had trouble finding weight data for some of these bikes. If you have any of the missing info, shoot me a note or comment below. Thanks! Identifying what kind of riding your child is going to be doing is the first step in shopping for a 20” mountain bike. Maybe your family is interested in doing some off-road riding on rail-trails. In this case, a bike like the Woom 4 is going to be the right bike for the mission. On the other end of the spectrum, you might be the kind of family that is headed to the Whistler bike park for your summer vacation. Obviously, for this kind of riding your child is going to need a wildly different bike. 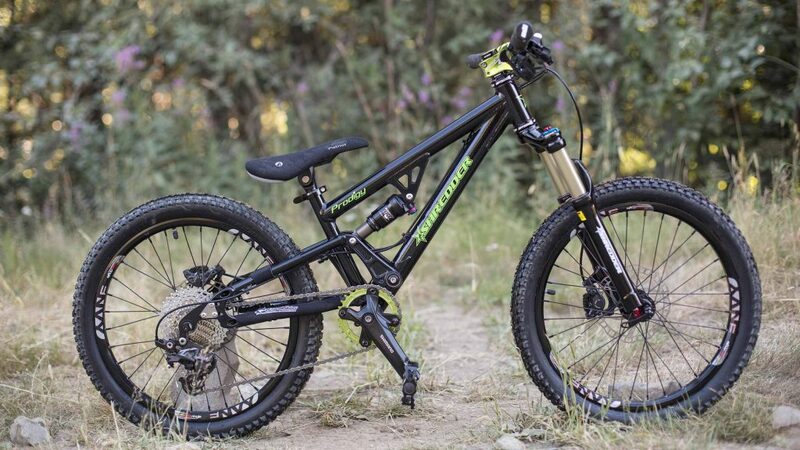 To hit the big stuff, you’re going to want a bike like the Commencal Supreme 20 or the Little Shredder Prodigy. Most families will be somewhere in between. 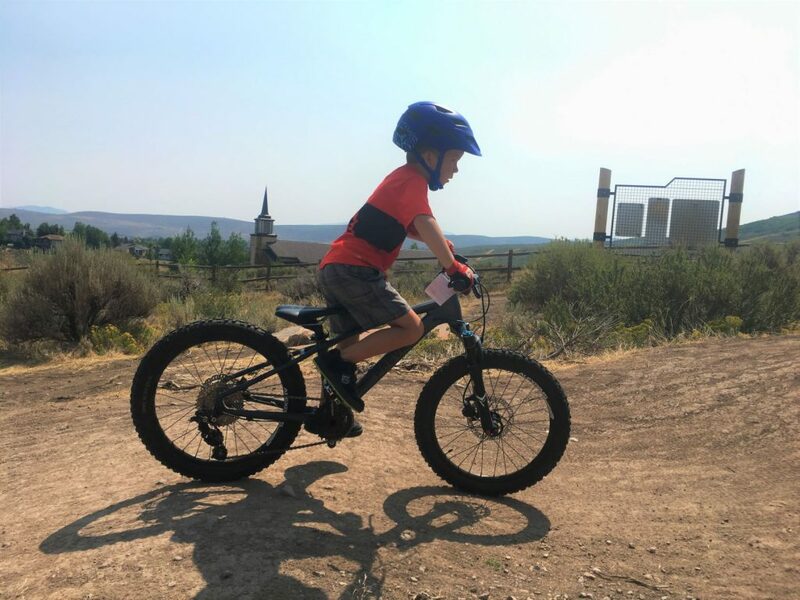 Your kids plan on riding some mellow singletrack, playing on the pump track, and maybe attending a summer mountain bike camp. You should consider a bike like the Prevelo Zulu Three or the Orbea MX20. Whether you should be buying a rigid bike or a suspension bike is again largely dependent on the type of riding your child will be doing. If your kiddo is taking lift-assisted runs at the bike park, they need suspension (most likely, full-suspension). For trail riding, the answer is a little trickier. Adding a suspension fork to a kids bike adds weight—often, quite a lot of weight. A nice fully-rigid bike like the Cleary Owl or the Trek Superfly is lightweight and still perfectly capable on mellow singletrack. For kids who are new to mountain biking, or on the smaller size, the lower weight is particularly important. If your child has already mastered mountain biking and is riding rougher trails, consider either front-suspension or full-suspension. Just make sure that you are spending the money to get them a bike with GOOD suspension so that the extra weight is justified by extra performance. Cheap suspension forks are a waste of weight and money. Buy the best bike that you can afford. The nicer the bike, the more likely your child is to want to ride. The extra money buys extra comfort, performance, speed, and enjoyment. Luckily the cheapest bike on this list, the Cleary Owl, is still a totally legit bike. If you can’t afford even that, don’t go to Walmart. Instead, look for a decent used bike. Post on some local MTB Facebook groups. Find a local bike swap. Scour Craigslist and Ebay. Kids don’t stay one size for very long, so there are usually plenty of gently-used bikes out there. Hydraulic disc brakes are the nicest and have the best performance. They are also the most expensive. Mechanical disc brakes come next. They offer most of the performance of a hydraulic disc brake in a package that is easier to maintain and adjust. The cheapest option are good old v-brakes (rim brakes). Fortunately, kids don’t weigh a lot, so v-brakes do a pretty decent job of stopping them compared to an adult. Unfortunately, they don’t modulate, and they don’t work well when wet. This is again a matter of budget—buy the best you can personally afford. You probably have a good idea of whether or not your child is ready for gears. If they’ve mastered mountain biking without gears, they might be ready. If they have good eye-hand coordination, they might be ready. If they’re not ready, that’s fine—stick with a singlespeed. Wow, who knew shopping for a REAL 20″ mountain bike was so hard! First, knowing what is out there….then, getting your hands on one! If I would have found your site sooner, it might have saved me some hassle – we just had to return the 1st one we purchased. After about 30-40 miles, we realized we went too cheap. So, we have our 2nd 20″ bike arriving on Monday. 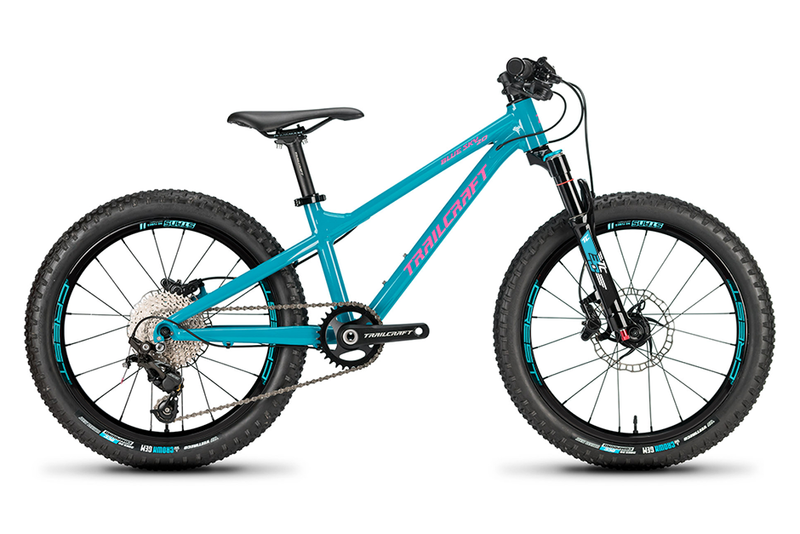 This time, using your reviews, I was more knowledgeable on what to look for and what was out there We opted for the Norco Fluid, but their hardtail – the Fluid HT 2.3+. The HT had a lower retail price (retails for $579, but we got a “leftover” from the prior year), which worked well given the cost vs our expected years of service – 1 1/2 – 2 years max….and he is our youngest, so no other siblings to hand it down to. So my little shredder’s bike can be like “Dad’s bike” and some of the higher-end full suspension 20″ bikes, we are upgrading the fork to an air fork. …and yes, as hard as it is to shop for REAL 20″ mountain bikes, it’s even harder to shop for REAL air forks for a 20″ bike! Thanks again for all the info – this is the only place I found this stuff! !